It’s easy to use our directory to find Colorado banquet halls and facilities in all the cities throughout the state. With numerous Colorado banquet hall facilities in all metro locations, just choose those that meet your needs and compare them all here. If you are looking for ideas, here are a few cities with featured banquet halls that might work for you. Banquet halls abound throughout metro Denver. This also includes the cities of Broomfield and Golden and all the suburbs in between. The Denver Convention and Visitors Bureau is a good place to start. To the South of Denver, Colorado Springs is the state’s second largest city and a great place to find and to reserve Colorado banquet hall facilities along the front range. When you have a celebration to share with others, wedding receptions, for example, this city offers a variety of banquet halls. There are many larger spaces available as well as quaint smaller spaces – so no matter the size of your celebration, there’s a facility for you. Learn more from the Colorado Springs Convention and Visitors Bureau. Further South you will find the city of Pueblo which also offer several banquet hall facilities. To the north of Denver, you find Estes Park, Boulder, Fort Collins, Greeley and Loveland. Boulder, a college town, is the larger of these cities and offers a wide variety of banquet halls and facilities. Contact the Boulder Convention and Visitors Bureau for more information. The Estes Park Conference Center can help you out if your plans for a banquet are there. While the smaller cities to the North have a few facilities in each between themselves. If you are out on the Western Slope, many small cities have banquet halls and facilities to serve your needs too. Find them in Glenwood Springs, Grand Junction, Pagosa Springs and Durango. 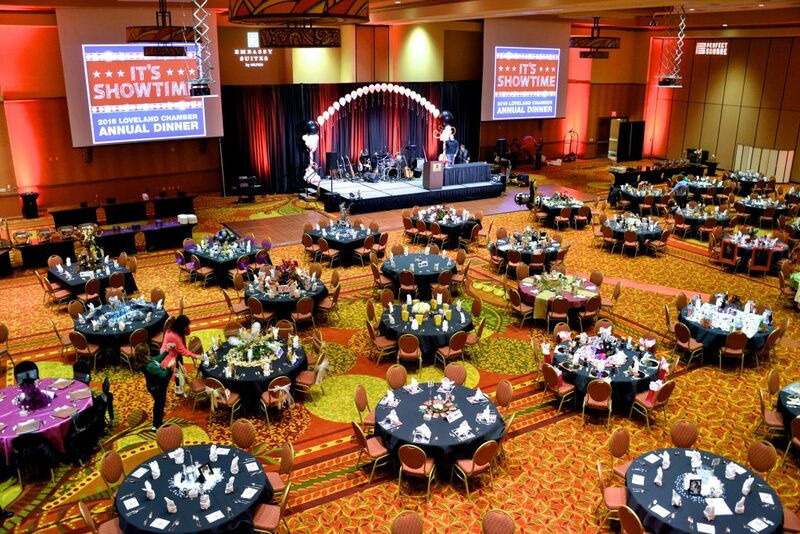 No matter what your plans are for Colorado banquet hall facilities, you can find a number of cities in Colorado that are more than willing to help you out. In many instances, the city hotels are also the banquet hall providing one-stop shopping for facilities and caterer in one place. From Denver to Aurora, Colorado Springs to Boulder and out on the Western Slope, the state of Colorado has banquet halls and facilities covered.